Denver Nuggets center Nikola Jokic, front, drives to the rim past Cleveland Cavaliers forward Jaron Blossomgame during the first half of Saturday’s game in Denver. 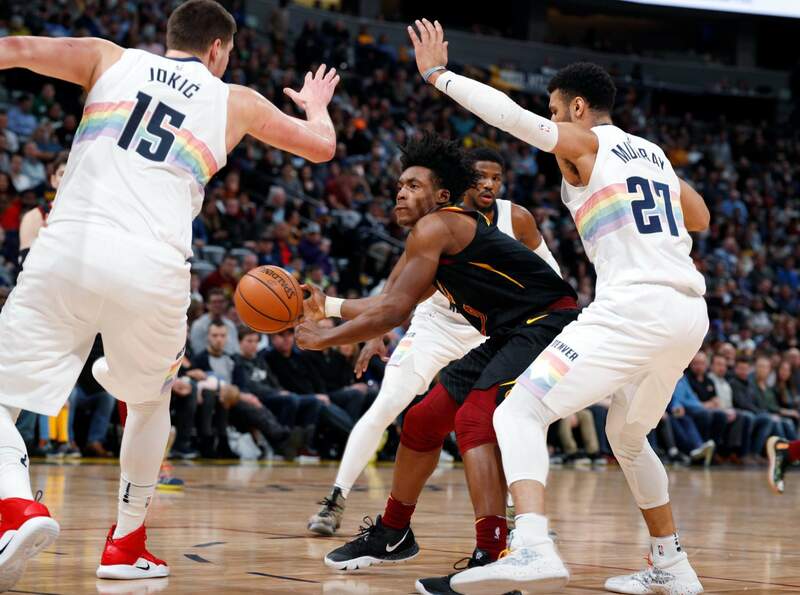 Cleveland Cavaliers guard Collin Sexton, center, is surrounded by, from left, Denver Nuggets center Nikola Jokic and guards Malik Beasley and Jamal Murray during the second half of Saturday’s game in Denver. The Nuggets won 124-102. 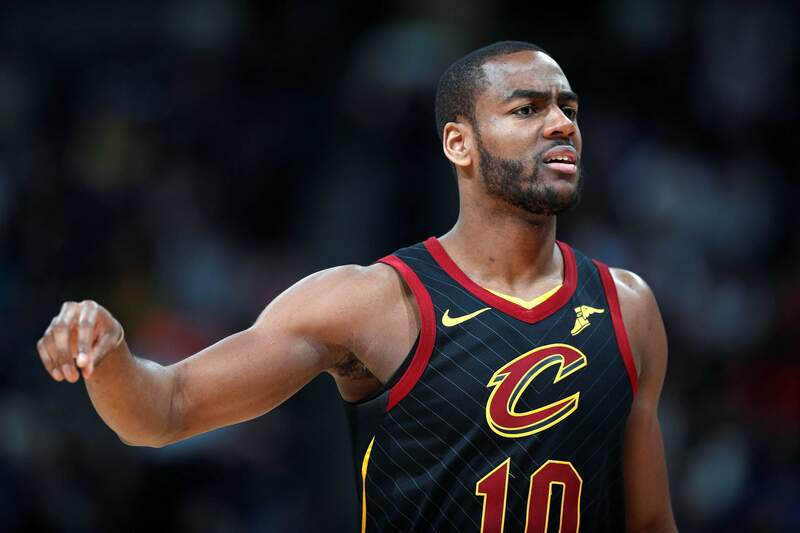 Cleveland Cavaliers guard Alec Burks directs a teammate in the first half of Saturday’s game against the Denver Nuggets in Denver. 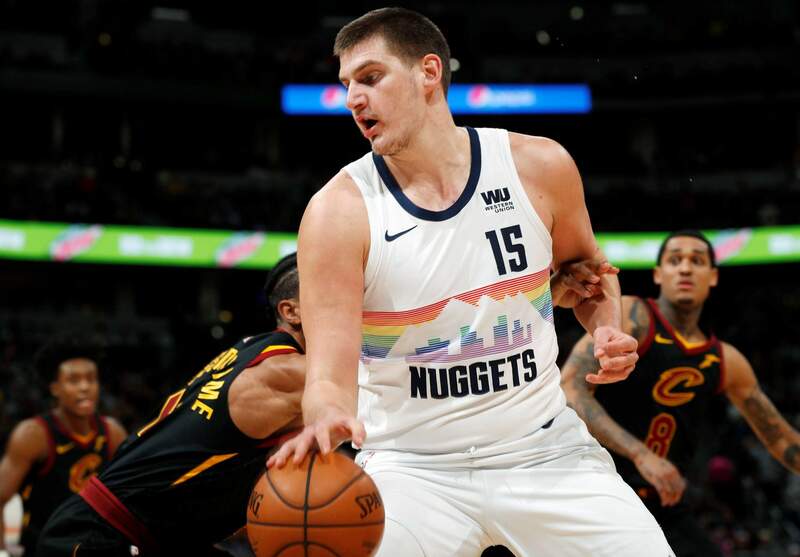 DENVER – Nikola Jokic likes the way the Denver Nuggets have bounced back from their worst loss of the season. Cleveland closed out a six-game trip with its third consecutive loss. It has dropped 15-of-16 overall. Jokic secured his 22nd career triple-double by late in the third quarter, and the Nuggets carried a 25-point lead into the fourth. They substituted freely throughout the final period. TIP-INSCavaliers: G J.R. Smith remains away from the team due to personal reasons. ... F Tristan Thompson was sidelined by left foot soreness. UP NEXTCavaliers: Return home to host the Chicago Bulls on Monday.